A world away from the frenzy of Japan’s megacities, Yamagata is peace personified. If you consider yourself “outdoorsy” and favour hearty romps in the mountains, jaw-dropping scenery, exquisite cuisine and a good long bath to top it all off, Yamagata might just represent your very own Shangri-La. 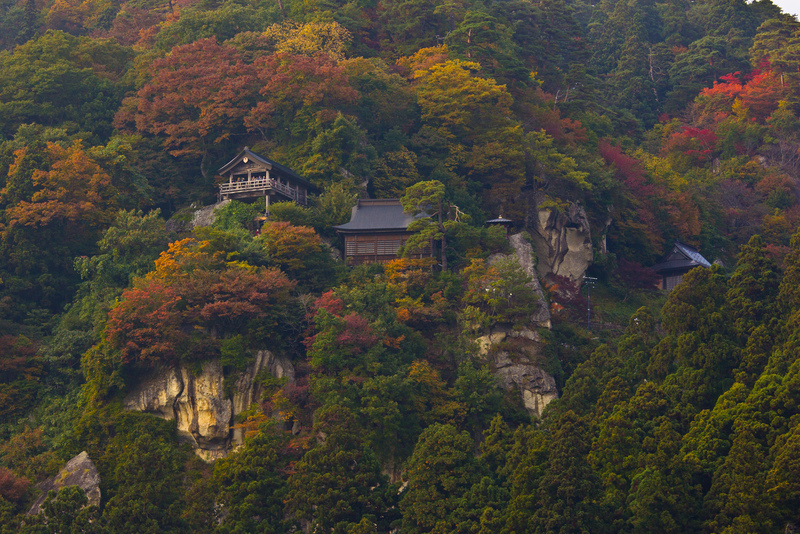 Dewa Sanzan refers to “the three mountains of Dewa”, namely Haguro-san, Gas-san and Yudono-san. Visitors hike to each mountain, which represent birth, death and rebirth consecutively. But it’s not just awe-inspiring beauty to be found in this remote region, oh no. It was here in the Churenji and Dainichibo temples that monks practiced the art of self-mummification whilst still living. Gory but fascinating, find out how they did it here. The premier ski destination in Yamagata, Mt. Zao offers more than just pristine powder ripe for carving. Visitors come from far and wide to ogle at the so called “snow monsters,” a natural phenomena where strong, icy winds carrying cool water droplets let loose against the evergreen conifers, creating surreal creatures on the slopes. 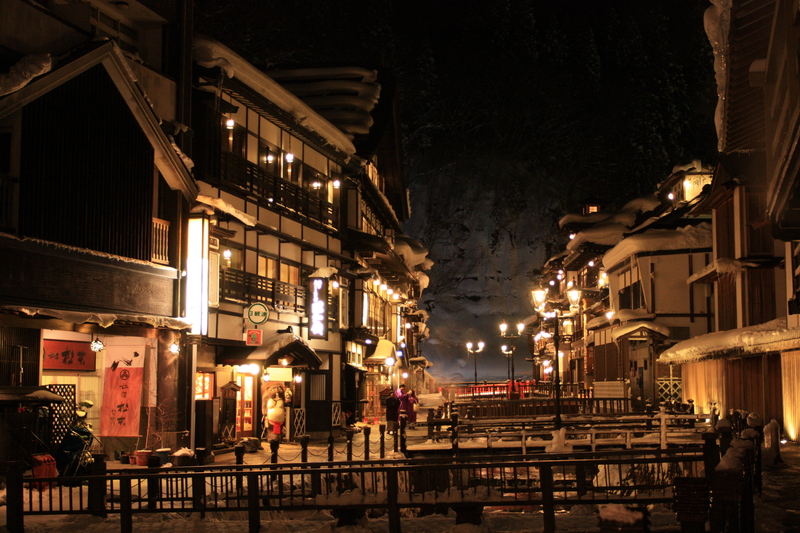 A picture-perfect town featuring traditional ryokan and heavenly onsen. A visit here is all about pottering from hot spring bath to hot spring bath in pursuit of heavenly relaxation. Find out more about the art of onsen with our blog post. One of the most spectacular festivals in the Tohoku region, Hanagasa Matsuri sees over a million visitors flock into Yamagata City to witness a beautiful parade, featuring hundreds of dancers sporting ‘hanagasa’ – a special hat adorned with Yamagata’s signature safflower decoration. Yamagata is known for producing over 70% of all the cherries in Japan. 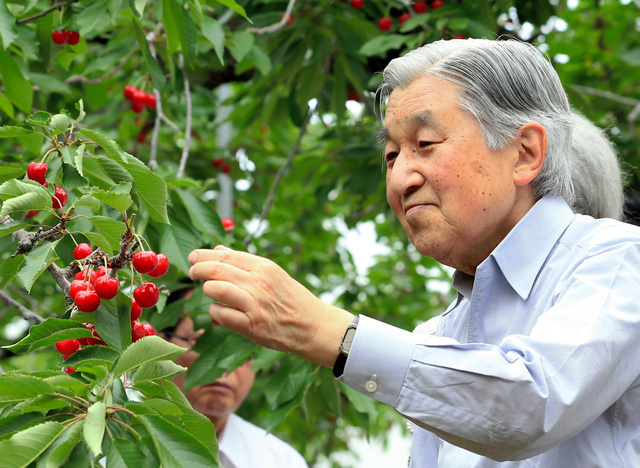 Cherry picking is so adored here that even Emperor Akihito (pictured) made a special trip to Yamagata to get stuck in. Our insiders top-tip from Japan Centre Kaicho Tak Tokumine, this authentic ryotei (premium, traditional restaurant) serves exquisite local cuisine in the city of Yamagata. Visit the Chitose-Kan website here. For us, Yamagata represents a land of natural highs. If you’re one of the increasing number of people flocking to Japan in the near future, we at Japan Centre heartily recommend getting off the beaten track and getting lost in magical Yamagata. Have you visited Yamagata Prefecture? We’d love to hear your top tips. Get in touch on Facebook, Twitter or Instagram. Posted in Travel and tagged Ginzan Onsen, Hanagasa Matsuri, Travel, travel blog, travel guide, Yamagata, Yamagata Highlights, Yamagata travel guide. Bookmark the permalink.